Homeschool planning can be one of the most daunting aspects of homeschooling. Not only do we have to determine what and how to teach our kids, we have to order all that learning into some sort of organized plan that makes sense; fits into the overall family rhythm (naps, chores, lessons, sports); and we still have to keep everyone clothed, fed (and, some days, from wanting to drive each other crazy). How is this possible when no one day is the same, no child is the same and no curriculum is the same? Can a homeschool planner help? If you’ve read my book Plan to Be Flexible then you know that I am a planner, perfectionist type that discovered rather quickly that it is virtually impossible to live out the perfect homeschool schedule. In fact, as a homeschooler, it’s probably the quickest method of sending you on a one-way ticket to homeschool burnout (not to mention a trip to the looney bin). No doubt about it: We need some structure to our learning if we want to meet certain learning objectives. But a rigid schedule is not the way to make it happen. Instead of a schedule, what if we thought of creating a rhythm for our homeschool days? What if we instilled some key pillars in our day, along with some general learning “backbone” times for each day, and some learning goals for a certain period of time, and then allowed things to play out naturally? This is what I call rhythm-based homeschooling, and it is the essential key to creating a homeschool plan that not only works but that keeps you sane. More on rhythm-based homeschooling in a minute. First, I want to show you how to use a homeschool planner to (realistically) create a way to manage and order your homeschool rhythm. I’m super excited about Homeschool Planet—an awesome online homeschool planner—because it allows homeschool moms to create a backbone outline of a typical homeschool rhythm in a powerful and effective manner. 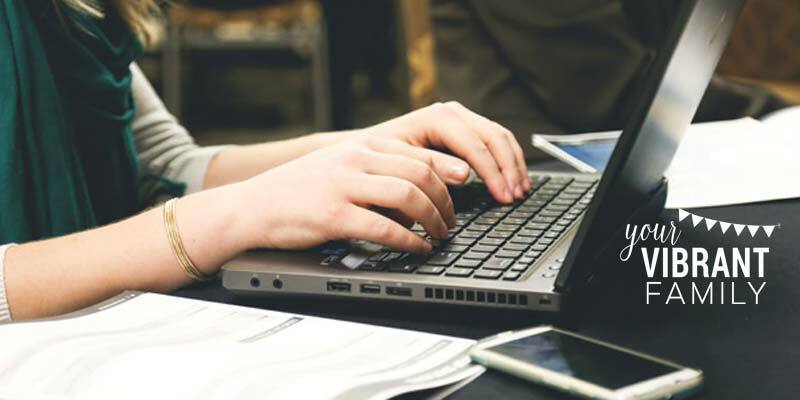 Because Homeschool Planet is digital and daily assignments can be arranged and re-scheduled automatically, homeschool planning can have both a loose structure and a flexibility necessary for the uncertainties of life, which is key to rhythm-based homeschooling. You create your homeschool plan/calendar (for the week, for the month, or for the year—whatever works best for you) in your own online portal within the Homeschool Planet site. (Since I don’t share my children’s names on the blog, I’m sharing sample screen shots from the site, not my personal account). After adding in yourself and your students as users, you create and assign learning tasks to be completed on specific days. You can choose to assign these to a specific timeslot or just as a task to be completed that day (the latter option better supports rhythm-based homeschooling because it offers flexibility instead of rigidity). 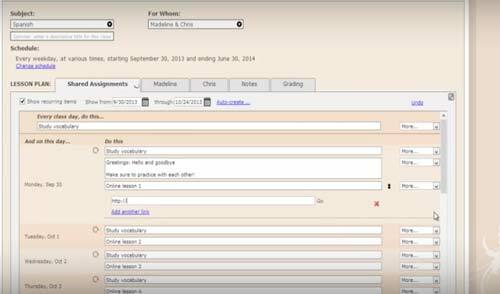 Tasks can be printed, sent to students (or yourself) in a daily or weekly “digest” form, and students can also access the information via their own login. You or your students check off the assignments as they are completed. If an assignment isn’t completed for some reason, you’re alerted each day by Homeschool Planet’s re-scheduling feature and can decide whether to eliminate the task or to schedule it for a future time. 1) It works for all kinds of homeschoolers. You can keep track of assignments that you plan for the future (how I’d imagine most people would use it); or you can write in completed assignments for each subject after the event happened. 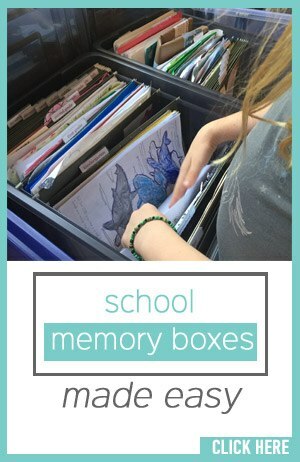 This would be ideal for unschoolers who want to keep records of the types of learning happening for their students in each subject. You can choose to give a specific time for an assignment; or you can just list that assignment as a requirement for the day. I appreciate this because we choose to build our homeschool day around key “pillars” for each day instead of at specific times (more on that in a minute when I get to essential tips to homeschool planning). 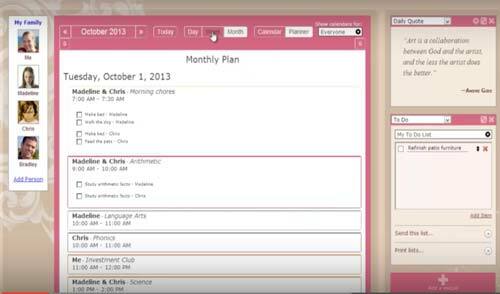 This of course is the best part of having an online planner like Homeschool Planet. I love that I can adjust assignments as needed. The problem I’d found in the past with other scheduling systems (and of course the main issue with paper scheduling systems) is that it was very difficult to move assignments around. This is essential in homeschooling because our schedule will never, ever turn out like we expect it (I wrote an entire book on this!). 3) The freedom to choose. I love that you make the final decision about what to do with the assignments. For example, if you mark yesterday as a sick day, you can decide if you want to eliminate those assignments or add them today, or add them to a future date. And you can make that decision for each of the assignments (if you want to just keep one or two, for example). It’s quite convenient to have access to assignments both on my phone and on my computer. It’s also amazing that my kids can access all their necessary data from their iPods and Chromebooks too. As a homeschooler, I constantly feel like I’m swimming in a sea of paper, so the option to have one more aspect of homeschooling paperless makes me downright giddy. 6) Lots of online help available. Along with a list of Q & As, there’s several video tutorials and how-to pages on the Homeschool Planet portal. However, I do have to say that I find Homeschool Planet fairly easy to navigate. 7) This is not a static product. Homeschool Planet is constantly being updated, and not only can you view recent additions to the planner (which you can have as one of your widgets), you can also see which updates are planned for the upcoming future. 8) You can try it for free! 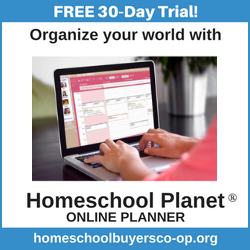 Homeschool Planet offers a free 30-day trial so you can test out the homeschool planning system for yourself and see what you think. 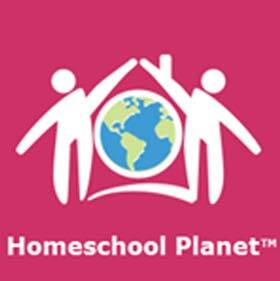 After the trial period ends, Homeschool Planet costs $65 per year or $6.95 per month. Maybe the online calendar isn’t your thing. Maybe it’s a little out of your homeschooling budget right now. 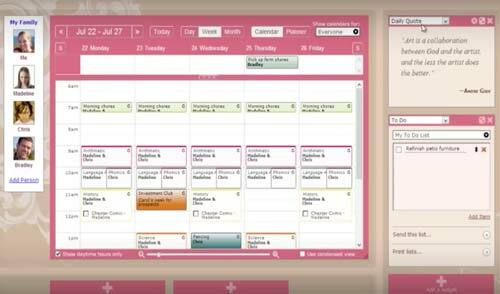 Or maybe you’ve been using a printed calendar system for years and don’t want to switch. If so, I wanted to include links to some free printed homeschool planners here and here. I do have to say that even though these printed homeschool planners are free, there really is no contest between a digital homeschool planner and a printed homeschool planner, in terms of the ability to automatically reschedule.